Tourism is Big Business for the state of Florida, which is why it comes to no surprise that the Capitol welcomes a single day set aside for the House of Representatives to hear from the business owners within the sectors mostly impacted from its activity; restaurants and hotels. On March 12, 2014, Coldwell Banker Commercial Benchmark, had the wonderful opportunity to partner with several of these owners and speak to Legislator's on their behalf concerning the following 2014 Key Legislative issues. As an Allied Member of The Florida Restaurant & Lodging Association, Coldwell Banker Commercial Benchmark is proud to offer real estate services to its members and affiliates. Please contact Ramonda Fields at (904) 281-1990 or (904) 208-0338 to learn more. 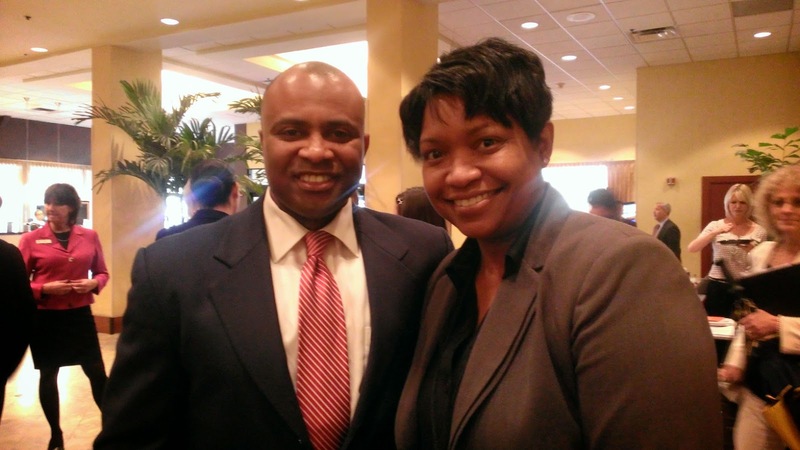 Ken Lawson pictured with Ramonda Fields of CBCBenchmark.